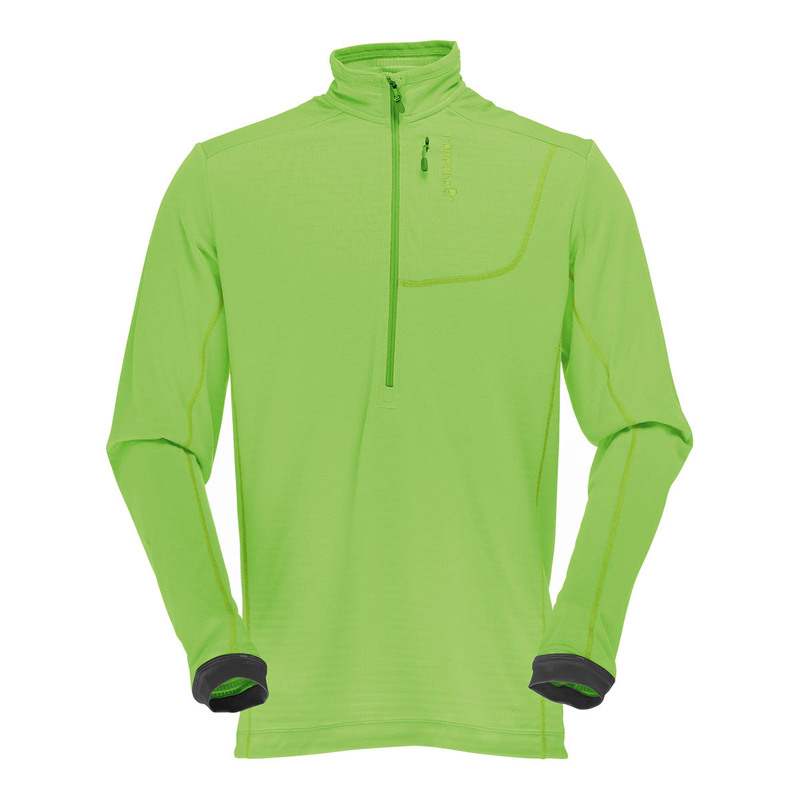 The Norrøna Bitihorn Powerdry Shirt is a lightweight mid-layer that’s ideal for any outdoor activity from spring ski touring to autumn trail running. Utilising the super-efficient fast-drying and breathable properties of Polartec Power Dry, the Norrøna Bitihorn Powerdry Shirt is designed to keep your body temperature in check, whether you’re sweating it out on a long bike ride, or keeping warm on windy hike. Extra ventilation comes from the long neck zip, while you can wear it again and again thanks to the anti-odour treatment. Polartec Power Dry is an ingenious technical fabric with super-efficient drying and wicking qualities. This is thanks to a top-secret knitting technique that gives each side of the fabric different properties: one side is optimised to draw sweat and water vapour away from your skin, while the other is designed to dry quickly. Both these faces work in harmony to keep you nice and dry, whatever the weather and however hard you’re working. Polartec Power Dry also contains a minimum of 50% recycled fibres, including sustainably-sourced wool and recycled polyester. Last but not least, Power Dry is treated with silver salt (salt chloride) to prevent it stinking – amazing! A special silver salt (salt chloride) treatment is designed to prevent the grown of stink-causing bacteria, which means you clothes can spend more time on your body and less in the washing machine!